Ezra Hamilton owned a pottery Los Angeles California. He made bricks and pipe from the fire clay mined from Tropico Hill (Hamilton Hill at the time) near Willow Springs. In 1894 he panned gold from the clay and immediately went to the mine and located the lode. 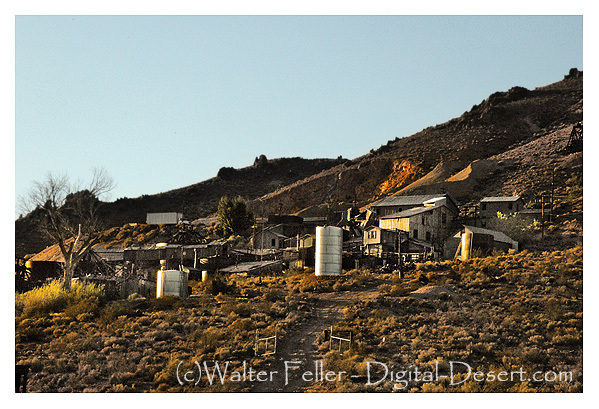 The historic Tropico Hill Mill Tailings site was the result of a historic mining and milling activity in the Rosamond Mining District, which was mined for its rich gold lode deposits, during the early 1900’s to 1950’s time period. The historic Tropico Mill was constructed during the 1920s’ with a rotary ball mill circuit. The mill tailings were produced by the rotary ball milling operations. Approximately +50,000 tons of mill tailings were generated by mining and associated milling operations. These mill tailings have discharged from the mill site and formed an elongate, southerly directed tailings deposit over a last +50-year period downslope onto the alluvial fan surface adjacent to a residential subdivision area and thence into the adjacent floodplain areas within the Rosamond Basin drainage. The Tropico Mill tailings contain elevated levels of arsenic.